(Newser) – The federal government is likely now able to unlock any model of iPhone. A report in Forbes says a contractor known as a go-to for when U.S. officials want a suspect's device unlocked has discovered a way around Apple's security features. 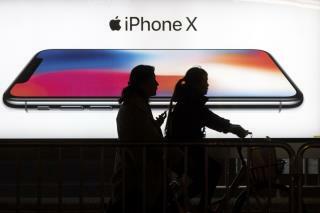 The contractor is an Israeli firm called Cellebrite, which the report suggests successfully circumvented security on an iPhone X late last year during a Michigan arms trafficking investigation. Forbes reports the company "developed undisclosed techniques" that allow it access to iOS 11. However, the firm has not made any public statements about the reported development so it's not clear what that development might be. Apple has thus far not responded to the report. Apple and the Department of Justice first famously butted heads following a terrorist shooting in San Bernardino when the tech giant refused to assist federal authorities in their attempts to get into the suspects' locked phones. While it took a court order before Apple would comply, they never had to follow through with it. By the time the company agreed, federal officials announced that a contractor had already helped them unlock the phones. Hmmmm, maybe that's why I received an update to my iPhone last night after already updating earlier in the week. Maybe Apple surreptitiously found a way around what the contractor found so is having everyone quietly update their phone? Guess I blew it for them by posting on Newser about it. Oh, but wait, only trolls here so no worries Apple, your secret is safe. "when the tech giant refused to assist federal authorities in their attempts to get into the suspects' locked phones" Apple was willing to unlock the phone. But the FBI wanted Apple to show them how. Now, as in, years ago.